The Scugog Remembers Committee is pleased to join the Government of Canada, all Provincial & Territorial Governments, Canadian Embassies and notable Museums around the world in showing the WW I Memorial tribute at the Scugog Memorial Library and at several schools in Scugog Towns ship. This Commemorative showing is made possible through the support of 100 Women Who Care Scugog. The 2018 display of the names of those men, women and children killed in 1918 will commence September 17th, 2018 and conclude November 11th. More than 850,000 names of soldiers who lost their lives from the United Kingdom, Canada, France, Germany, the United States, Turkey, Belgium, Australia, the Czech Republic, Italy, New Zealand, Slovenia, China and the former British Indian Army will appear. The displays will run for 11.5 hours each day and each name will be programmed to appear at a precise day, hour and minute. The “Search The Names “ function on the World Remembers website will be updated by August 15th to include the 1918 names. el. This quintessential Canadian Post-war drama comes from one of Canada’s most celebrated playwrights. tickets can be purchased through the Borelians web page. More information about the production can be found here. One of Tyler’s most famous works, a bronze military statue depicting his grandfather, William Briley, in British cavalry uniform seated on his horse, was purchased by the National War Museum in Ottawa. They appraised its value at $45,000. Tyler Briley was also commissioned by General Motors of Canada to create the permanent award for their Corvette Challenge racing series. Another of his works, a red-tailed hawk carved out of a 400-pound slab of soapstone, was used as a fundraiser for the ornithological wing of the Royal Ontario Museum. A 25cm bust of Daniel David Palmer, the founder of chiropractic, sits in the town of Port Perry, another of Briley’s pieces. Another of Briley’s commissions sits in the Parliament Buildings in Ottawa. The work was commissioned by the Government of Canada to commemorate Lt-Col Sam Sharpe, an Uxbridge lawyer and MP who became so deeply affected by the loss of lives during the First World War that he died by suicide after his return to Canada. The sculpture will finally recognize Lt-Col Sharpe as an MP who died due to war injuries. It was an emotional piece for Briley to work on as he knew all too well the effects of PTSD from his time as a fire-fighter on the recovery truck with Scarborough Fire Department. Tyler Briley lives and works in the small town of Port Perry, Ontario. An annual highlight each Remembrance Week each year is the Port Perry Legion Veterans Tribute Dinner. This year’s dinner will take place on November 3rd at the Port Perry Legion Hall. For ticket information please visit their Facebook page website or call 905-985-8502. Through the generous support of 100 Women Who Care Scugog, 18 historical board about WW I have been created and will be on display at various events starting at the Port Perry Fall Fair through to Remembrance Day. Topics covered include WW I History facts; Port Perry’s four. celebrated Soldier citizens; First Nations contributions; 9 Million Unsung Heroes; War Horse: the True Facts. These history posterboards will be on display in downtown storefront windows beginning Nov 3rd through to Nov 11th. In addition, the Scugog Shores Museum will have WWI memorabilia on display in these windows as well as several store owners will have family WW I on display as well. The Lake Scugog Historical Society will also be giving guided tours downtown leading participants on a WW I era tour of our historical Port Perry. To highlight the history and effects of WW I locally and nationally, the Scugog remembers Committee has arranged for two eminent historians to present in Scugog Township during Remembrance Week. Through the generous support of the Greenbank Lions Club, the story behind the more than two dozen heroic women from what is now known as the City of Kawartha Lakes who served as nurses during the First World War will be told. This presentation will remind everyone that military history is about more than the guns, flags, khaki uniforms, helmets and trench models associated with the “masculinity” of warfare that one sees displayed in legion halls and halls like the Olde Gaol Museum in Lindsay. Our guest speaker will be the curatorial assistant at the Olde Gaol Museum in Lindsay, Ian Mckechnie. For more information, call the Victoria County Historical Society at 705-324-3404, email info@oldegaolmuseum.ca or visit their website here. Through the generous support of JumpStreet Travel, award-winning military history author mark Zuehlke will present at the Port Perry Villa at 7:00 pm. Admission is free. Mark Zuehlke is an award-winning author generally considered to be Canada’s foremost popular military historian. His Canadian Battle Series is the most exhaustive recounting of the battles and campaigns fought by any nation during World War II to have been written by a single author. For more information on Mark, please visit his website here. Each year on this date across Canada, Canada honours the First Nations, Inuit and Métis men and women who have served with pride and distinction and express our thanks to those whose dedication continues in military and peace operations at home and abroad. Aboriginal Veterans Day began in 1994 in Manitoba to honour the contributions of First Nations and Metis people who served in the Canadian Military. In 2001 the National Aboriginal Veterans War Memorial was unveiled and dedicated in Ottawa, and commemorative ceremonies are now held in many communities in Canada on November 8th. In Scugog Township, we remember five men from the Mississaugas of Scugog Island, Chris Ashkewee, John Henry Marsden, John McCue, Isaac Taylor, Isaac Almer York, who enlisted to fight in the ‘War to end all Wars’ with the 114th Battalion, the Brocks Rangers. The 114th recruited in Haldimond County and the Six Nations reserve and was mobilized at Cayuga. And we remember Steven Ashquabe, Ernie Edgar, Arthur Arnold Goose, Burton Elwood Johnson, Lambert Marsden, Albert Stewart McCue, Thomas Porte, Henry Arthur Sullaby and Henry Louis Sullaby who fought and served their nation so valiantly in WW II. Canada’s First Nations, Metis and Inuit continue to contribute in today’s Canadian Armed Forces. The 5,000 Canadian Rangers, a part of the CAF Reserves working in remote regions, speak 26 different languages and dialects, many First Nations. When called to serve, our Indigenous peoples responded. First Nations, Inuit and Métis continue to risk their lives in service, defending values of peace, freedom, and democracy. As we move forward in our journey of reconciliation based on recognition of rights, respect, partnership and cooperation, their sacrifices and accomplishments will continue to be remembered. We encourage all residents of Scugog Township to join us in honouring Aboriginal Veterans each year on November 8th. The time and location of our local ceremony will be posted here shortly. All are welcome. On November 3rd at the Scugog Community Centre, the Port Perry MoJacks will host their Armistice Tribute to Canada’s veterans. In honour of Canada’s veterans, they will hold a centre ice pre-game ceremony, ceremonial tribute and wear a special hockey uniform for this event. Please check here and on their website for later information. One of the main events is or Armistice Experiential Expo on Saturday, Nov 3rd. From 10:00 am to 5:00 pm. With the generous financial support of the 100 Men of Scugog and the Callery Group, Scugog Remembers has assembled an incredible learning experience for all ages! This event will be held on the main street with military vehicles, a WW 1 airplane flypast/air show, re-enactors, demonstrations and exhibits. A highlight of the main street will be, a 90’ inflatable military themed obstacle course sponsored jointly by Port Perry Canadian Tire and VOS Independent. This definitely is an event for everyone not to miss! The Post Perry Seniors Club are hosting an Armistice Luncheon on November 7th at Latcham Centre, 121 Queen Street. For tickets please phone 905-982-2192. More information on this event will be added in mid-September. Led by the youth of Scugog, hundreds of people will participate in a Silent March from Port Perry High School, where it will proceed to Queen Street to downtown to the November 11th Remembrance Day Ceremony. This Silent March will join the Veterans, the Legion Honour Guard, and Cadets, as they meet in downtown Port Perry. The Silent March is held to represent those who have served their country, and who no longer have a voice. Leading the Silent March will be a commemorative Canada Flag that will have been signed by the youth of Scugog. 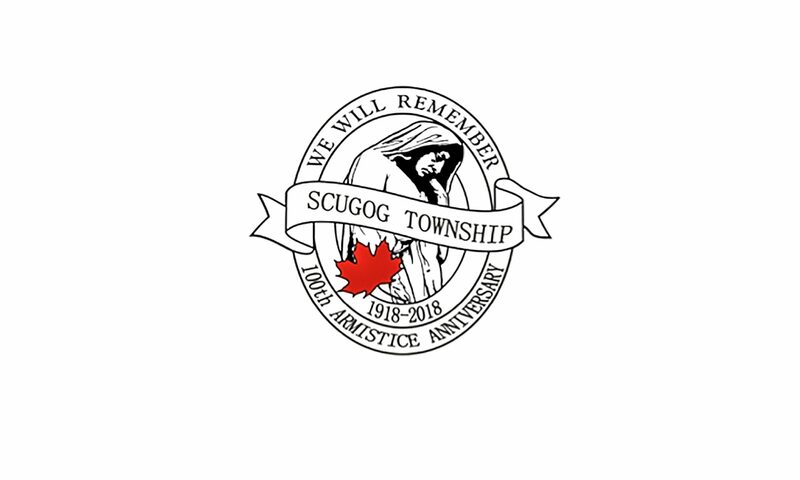 This Scugog Remembers initiative will be carried by 68 Scugog youth representing the 68 men from Scugog that did not return from the Great War. During this Silent March, all participants will reflect on the sacrifices that have been made to ensure our rights and freedoms. The Silent March will depart the Port Perry High School at 9:45 am. Before the Silent March, there will be short two-minute speeches by elected representatives of the Federal, Provincial, Regional and Township governments that are in attendance. Members of the public, who are unable to start at the High School are invited to join the Silent March as it passes by. The Scugog Remembers Committee would like to thank the Port Perry Seniors Club for their generous sponsorship for the support of this initiative. Remembrance Day (sometimes known informally as Poppy Day) is a memorial day observed in since the end of the First World War to remember the members of their armed forces who have died in the line of duty. Following a tradition inaugurated by King George V in 1919, the day is also marked by war remembrances. Remembrance Day is observed on 11 November to recall the end of hostilities of World War I on that date in 1918. Hostilities formally ended “at the 11th hour of the 11th day of the 11th month”, in accordance with the armistice signed by representatives of Germany and the Entente between 5:12 and 5:20 that morning. (“At the 11th hour” refers to the passing of the 11th hour, or 11:00 am.). In Canada, Remembrance Day is a statutory holiday in all three territories and in six of the ten provinces (Nova Scotia, Manitoba, Ontario, and Quebec being the exceptions). Veterans Affairs Canada states that the date is of “remembrance for the men and women who have served, and continue to serve our country during times of war, conflict and peace”; particularly the First and Second World Wars, the Korean War, and all conflicts since then in which members of the Canadian Armed Forces have participated. Veterans Affairs Canada runs a program called Canada Remembers with the mission of helping young and new Canadians, most of whom have never known war, “come to understand and appreciate what those who have served Canada in times of war, armed conflict and peace stand for and what they have sacrificed for their country. There will be two Remembrance Day ceremonies held in Scugog Township – Port Perry and Blackstock. The Remembrance Day ceremony in Port Perry will begin approximately at 10:30 am at the Scugog Township Hall in downtown PortPerry. Organized by the Port Perry Legion, they ask that the public is in place by 10:00 am. Those that are interested in ordering a wreath are asked to contact the Port Perry Legion. The Port Perry legion and the Scugog Remembers Committee would like to thank the Scugog Chamber of Commerce in their assistance at this event and their generous support of publishing the programme. Details of the Blackstock Remembrance Day will be posted here when available.